Are you in a mood of celebration? Looking for a perfect destination to bond and indulge with your friends and share your happiness? 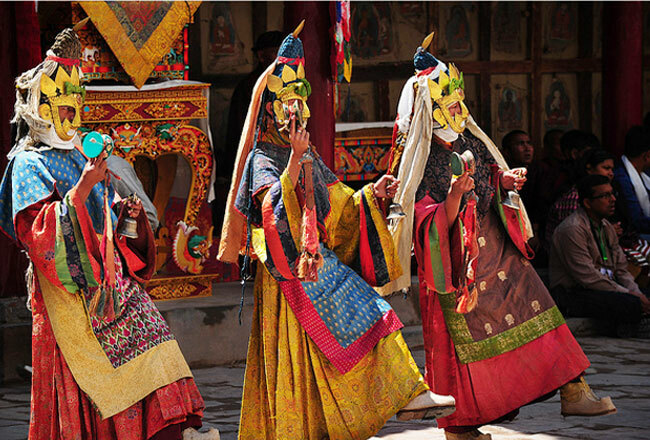 Head over to Ladakh and enjoy the splendor of the Hemis festival. The beautiful serene atmosphere of the place along with the vibrant festival will surely touch your soul, and leave you speechless with unforgettable memories.Gather your friends and family, and set out for a trip to Ladakh.Check out the tour packages with Kesari tours and just get relaxed as they will plan out the best memorable holidays for you. 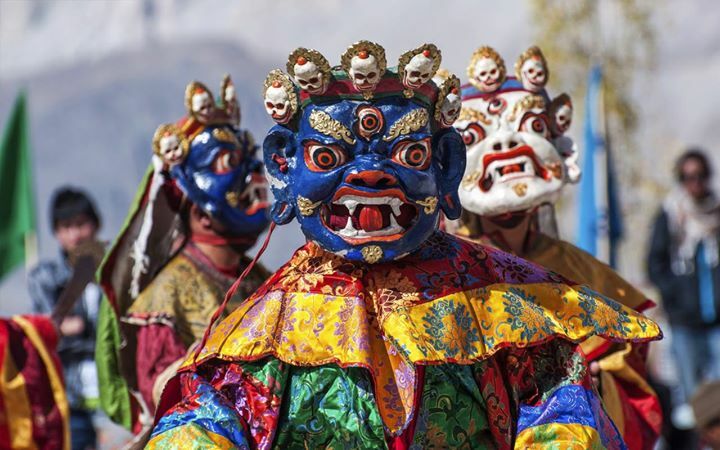 Celebrated on the 10th day of the Tibetian lunar month, Hemis festival is one of the largest festivals in Ladakh.This festival is organized in the Hemis monastery which is the richest monastery of the pristine Ladakh.Get an insight into the fascinating Ladakh culture, participating in the Hemis festival. To ward off the evil spirits, and bring goodness in everyone’s life this holy event is organized. Even some locals burn incense sticks to purify their homes.If you wish you can unite together with the crowd to sing and dance when the dough idol of the evil spirit is being destroyed. Decked up in the bright colored attires, the chams or masked performers tap their feet with the traditional musical instruments and makes the event lively with their perfect dance moves.Wake up early in the morning to celebrate the Hemis festival that commences with the sounds of drums and trumpets.This festival, popularly known as Kumbha Mela of Ladakh is celebrated with great passion and enthusiasm. Offer your prayers to Lord Padmasambhava and then enjoy the mystic mask dance. The festival continues for a period of 2-3 days.Plan out a trip with Kesari tours to Ladakh during the month of June and make sure to participate in this auspicious festival. 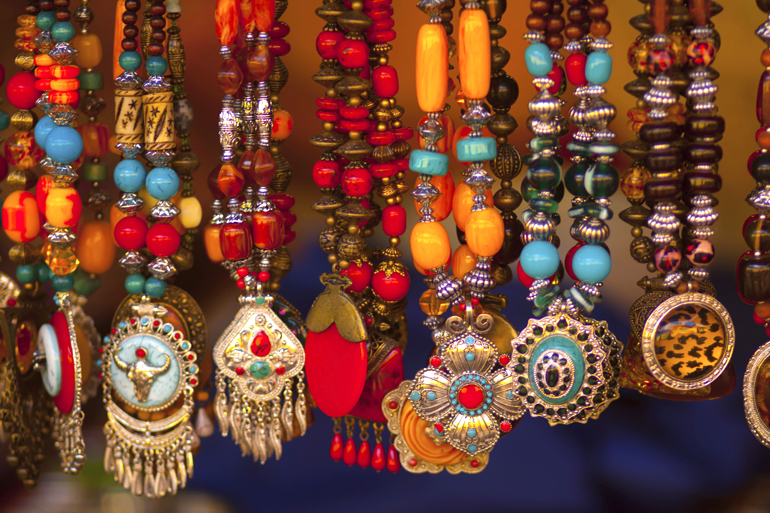 Collect the exclusive handicrafts, Buddhist idols, Tibet gems, and hand-woven dress that are exhibited in the numerous shopping stalls over there. The gracious rituals, stunning dance programs, fabulous shopping together will bring a smile on your face and fill your heart with tremendous joy and excitement. Not only the charming beauty of Leh-Ladakh will mesmerize you, but the colorful shades of the Hemis festival in Ladakh will surely captivate you to pay a visit to this fabulous place.Is your heart beating fast to experience this beautiful festival? Book your Ladakh trip with Kesari tours and get ready to enjoy the festive fever.